Easy-peasy instructions on how to make Bone Broth, and why you oughta! I’m kind of a broth geek, from way back. And since I’ve learned about bone broth, I’m a raving lunatic about it. I love it. It’s my new Best Friend Forever. Bone broth is so rich and delicious. It’s ridiculously easy to make. It’s also so cheap to make that it will make any tightwad burst out in joyful song. It smells my house up in the nicest possible way you can imagine. And it’s about as good for you as it can possibly be. What could be better? Am I excited about bone broth? Yes. Am I exaggerating about its goodness? I wouldn’t do that to you, Gentle Reader, not in a million-trillion-bajillion years. Nope. Bone Broth: just another fad? 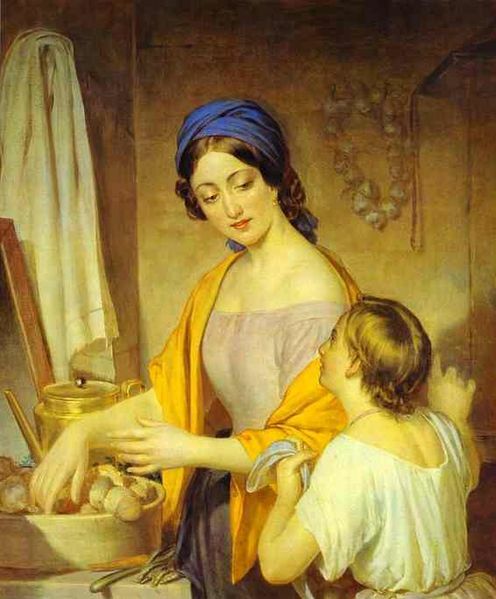 Homemade stock, of course, is not a new thing. It’s one of those things that is so old, it’s new again. In nearly all tradition cuisines, stocks and broths made from fish, chicken, vegetables, and beef have played a big role in cooking, and in staying healthy, for that matter. In the early days here in the U.S., when an animal was slaughtered, nothing went to waste. The bones, the tail, tougher pieces of meat, everything went into the stock pot. The flavorful and nutritious broth that was the result went into soups, stews, and gravies. Bone Broth: sounds sketchy–is it good for you? 1. Bone broths are packed with nutrients, particularly minerals and amino acids, and the family of collagens which work to keep your joints healthy–do glucosamine and chondroitin sound familiar? Probably they do, because that’s what is in the tablets that everybody takes for joint health. Bone broth is loaded with these collagens, baby. Absopositively loaded. And yes, I just made up that word. Absopositively. Hmm. I like it! 2. Your liver is under assault on a daily basis, because of pollution, toxins in our food, chemicals in the world we live in, stresses-which-we-can’t-seem-to-get-away-from-*sigh*-despite-our-best-efforts, and so on. In order to rid itself of these toxins, this quiet yet vitally important organ needs to have plenty of the amino acid glycine available for its use. Guess which amino acid is plentiful in Bone broth? Yup. You got that right. Glycine. So your liver is going to function more effectively– doing its detoxifying and cleansing thing that it does so well–if you’re drinking bone broth, preferably on a daily basis. Your liver is under assault: fight the toxins with Bone Broth! And yup. We do try to drink this magical elixir daily at our house, either in soups or just in a big steaming mug. Bone broth is rich in another amino acid, Proline, which plays a role in reversing atherosclerotic deposits. It enables the blood vessel walls to release cholesterol buildups into your blood stream, decreasing the size of potential blockages in your heart and the surrounding blood vessels. Isn’t that awesome? Doesn’t that give you hope for a healthy heart, in this age when heart disease is such a threat to health? 3. Bone broths are rich in gelatin, which supports your digestive health. Here’s a note that should give every one of us serious pause, so I will type it in another color: many doctors forecast a day when autoimmune diseases will be the number 1 cause of death in the Western world. These diseases–Celiac disease, Crohn’s Disease, Lupus, Multiple Sclerosis, and Thyroid disease, just to name a few–are becoming more and more prevalent in our modern world. Bad news, baby. After some time, the confused immune system goes into overdrive and starts to attack the very foods you eat–leading to what we call food sensitivities. Over time, this can turn into an autoimmune issue by which your immune system thinks your thyroid, or your liver, or your skin, or whatever–is the enemy, and attacks it. Sounds scary, doesn’t it? That’s because (hello) it is scary. Do you know what can help heal a leaky gut? (Wait for it.) That’s right, the gelatin in bone broth can help heal a leaky gut and thus, your potentially-confused immune system. It really is amazing stuff. Gelatin in bone broth can help heal a lucky gut. Gelatin? In my soup? What the heck? Okay, so you’re hung up on the gelatin. Oh-kay. Have you heard the old saying “You are what you eat?” Well, that’s not strictly accurate. Actually, you are what you absorb. An unhealthy gut doesn’t absorb well, no matter how much goodness you consume. What does this have to do with gelatin, you ask? 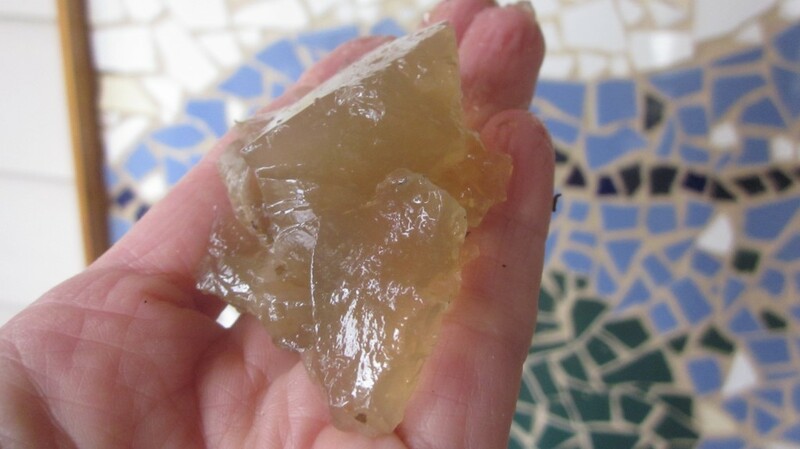 Here’s a blob of the bee-u-ti-ful gelatin from my last batch of bone broth. Gorgeous! Good question! Gelatin–once a staple in a person’s diet, back when rich bone stocks and soups were simmered on the wood stove in everybody’s kitchen–is no longer a part of your average modern American’s diet. That is, it’s not in the average uninformed American’s diet. You, Gentle Reader, obviously do not belong in this category, aren’t you relieved? Check out that can or box (or–*shudder*–bouillon cube) of broth in your cabinet. No gelatin. Not a single blob of it. One of the best ways to heal an unhealthy gut is with gelatin. And (connecting the dots here, Gentle Reader, just for you) drinking bone broth is the easiest way to get lots of gelatin into your gut. Isn’t that awesome? Isn’t that exciting? And you don’t have to order it online, or travel to the city to get it. You can make it in your own humble kitchen. 4. Bone broth can help you get over colds, flus, and upper respiratory infections faster. Yup. Your Grandma was right. Bone broths, with their high nutrient content and goodness, can cut the duration of any colds or flus you unhappily may catch. I try to keep a supply of bone broth in the freezer, and it’s so easy to defrost it in the middle of the afternoon, bring it to a simmer on the stovetop and add vegetables that my family likes, homemade noodles or rice, and some already-cooked chicken meat into it for a soup that makes any sickie feel better. It’s delicious, too. Bone broth is a richer broth and my family adores the soups that I make from it. Great soup-making depends on really tasty broths. 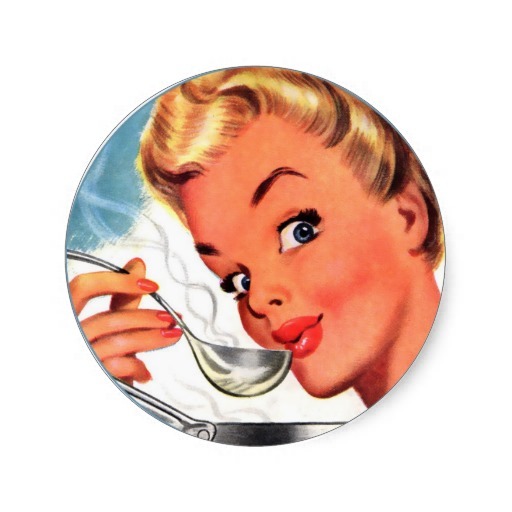 And you can’t discount the “Mom loves me–she made me soup” factor in getting over colds or the flu! 5. Bone broth is great for your hair, your nails, and your skin. Bone broth: Geez, must be expensive to make! Here’s some good news for you, Gentle Reader. Not only is bone broth as easy to make as, say, falling off a proverbial log, it is very cheap to make, since the ingredients that go into it are generally thrown away. That’s partly what I love about making bone broth: it’s so doggone thrifty. You don’t waste a thing from your kitchen when you start a bone broth-making routine. Have I convinced you yet? Have I coaxed or wheedled or cajoled you enough into considering making a batch of bone broth? I hope so! I have super-easy instructions below. (There are so many ways to do this, but this is how I make chicken bone broth, in our research kitchens here at vomitingchicken.com/hehee). Optional: a handful of parsley or other herbs, 1 Tb sea salt, 1 tsp peppercorns, a couple of bay leaves. I cover all this with a few quarts of water, and let it all soak for about a half an hour before I turn on the crock-pot. This is supposed to give the cider vinegar some time to do its work, leaching minerals from the bones. Then I turn on my crock-pot to High and bring it all to a simmer. I skim off any foam off the top when it occurs (there’s not usually very much) and push the bones down under the broth every now and then. When it’s bubbling nicely, I turn it down to low. After 48 hours, I scoop the whole mess out, and chill the broth overnight, removing the fat from the top. Your bone broth is now ready to use. I do a second broth-making, too, by dumping everything back into the pot and simmering it all for another 24 hours. The resulting “second broth” is not as tasty as the first, but I know that it is still nutritious and is good for soups or sauces. If I’m going to drink the broth straight, or make a delicate soup (egg drop or chicken noodle, anybody?) then I use the first broth. There! See? Sooo easy. I raise my own chickens, so I know exactly what goes into their bones (I’m pretty picky about that). If you don’t, you’ll want to find pastured chickens (check the farmers in your area, or check out the local farmer’s markets or actually there are online sources, too) or chickens that are raised without hormones or antibiotics, since you don’t want any of that nastiness in your soup. You can also make bone broth from beef bones, fish bones, and other types of bones. I’d stay away from opossum bones, for obvious reasons. I’m hoping to snag some deer bones from my hunter friends this year, because they make excellent bone broth, too, which I love to make into Garlic Piperade Soup. Happy broth making, Gentle Reader! Here’s a recent batch of bone broth, just thrown into the pot. See the feet? Now maybe it’s time for you to get that big pot out and make some bone broth! Thanks, always, for stopping by! Tagged on: how is bone broth good for you?, how to make bone broth in a slow cooker, how to make bone broth organic, how to make chicken bone broth, nutritiousness of bone broth, why is bone broth good for me? Great article. When making a broth I sometimes add a little egg white on top of the broth because if you combine the egg white with boiling, strained stock, the albumin in the egg white acts like a vacuum for the solubilized fat, binding it and allowing it to be drawn out of the stock. This is more important for beef stock than chicken stock but it works for both. Just a thought. Not really all that important. I do enjoy sipping a good chicken broth during the winter months. And yes, we do have chickens but getting the chicken feet for broth is a little hard because my wife and her sister cook them with the soup and eat them, I’ve never watched but I think they are going for the gelatin. I like your new layout. I’m planning on doing a little adjusting to mine soon, and going down to only one, as trying to keep to is much to much work. Chef, That’s a handy tip! I may try that next time I make beef broth! Going down to one blog sounds smart. I’ve never understood how people can manage more than one! This is awesome. 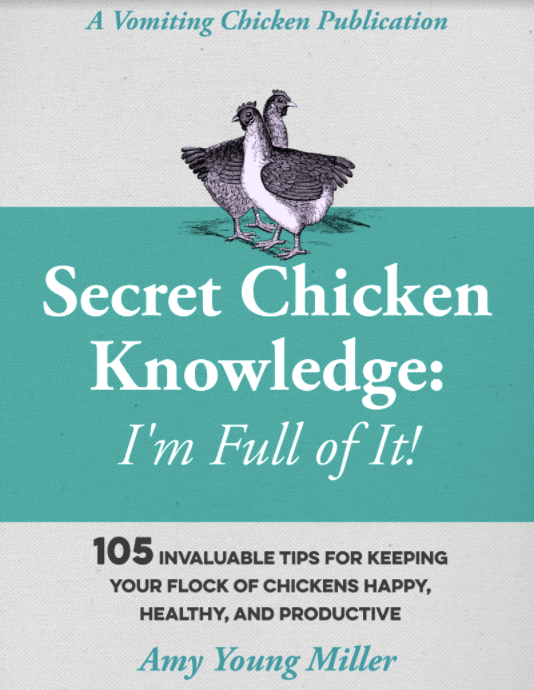 I didn’t know all the facts you shared and I’m loving knowing this because… I use my chickens to the bone! We just had Thanksgiving Saturday and I had chicken broth in the freezer which I used in my dressing…aka stuffing to you. 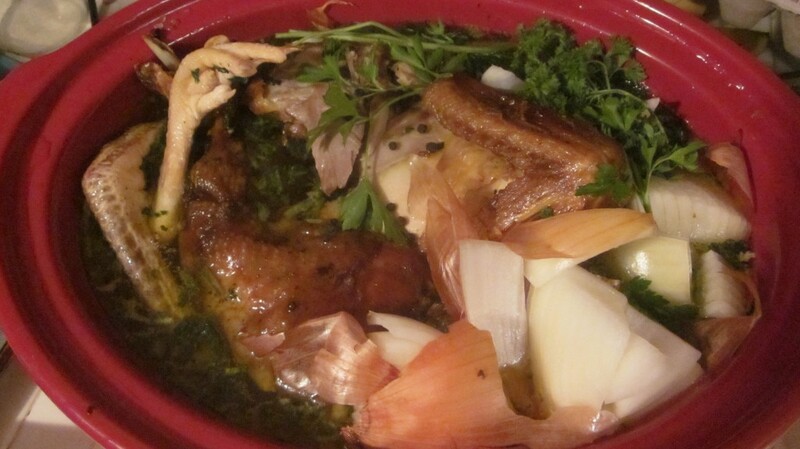 I roast chickens often in my clay pot http://joytomyheart.com/stretching-a-roasted-chicken-into-3-meals/ and never throw away a carcass without milking every last bit of flavor/meat out if it! I didn’t know the gelatin was so healthy for you, I just knew that was where the flavor was……I always save that part of any meat I cook….and use it! Great post! Thanks!!! I roast my chicken in my clay pot, too! I just love it! In New Zealand, the animal called a possum is quite a different creature. They do get the chickens, but don’t resemble USA opossums at all. The NZ possum, imported from Australia, unfortunately now a pest, isn’t unattractive with a ratty tail, as ours are, but has a very soft and very thick, brown fur, think cashmere, that is indeed, blended with soft wool, probably merino, to make fantastically soft and warm, close to the skin, clothing. The clothing is expensive but lasts forever, and if I weren’t allergic to wool, I’d definitely have one. Thanks for that clarification, Chris! Those feet just make me chuckle! My cookin’ hubbie has made bone broth for years but I’ve never seen such a comprehensive explanation of the benefits of broth. He’ll be making bone broth Friday or Sunday (foot free, alas) with the remains of our Thanksgiving turkey. Another must-pin post. I will also post it on Facebook for my friends. The next thing we know, Amy, you’ll be doing an informercial on TV for Your BFF Bone Broth. Thank you Alana, for the pins and the shares! I wish I could send you some chicken feet. I have lots in the freezer! Wow – I’ve never heard of this! Oh wow, this is very interesting. What would you suggest for a vegetarian? I’m not one but I used to be so chances are I’d never roast a chicken. I also have a lot of vegetarian friends so bone broth sounds a little… unappealing. But the benefits sound amazing! Thank you for sharing!! Thanks Ashley. I do make quite a bit of vegetable broth, too, with leftover veggies and veg scraps. It’s also very nourishing, though in a different way. I’m so glad you explain about the gelatin, because that always did give me the heebie jeebies! I’m also surprised you leave the skin on the onion. We make broth with our turkey bones after Thanksgiving dinner. In fact, I think I enjoy the turkey soup we make more than the turkey dinner! Thank you for sharing your yummy recipe! Now you know, Suerae, that jiggy gelatin is SO good for you! I guess it helps that there was not kosher soup stock forever.. I know that it’s not a new thing, Roy, and good for you for taking such excellent care of yourself and your family! Francene, it’s so easy to do and your husband will thank you!! I’m going to try to keep a supply in my ‘fridge for the winter, and try to incorporate it into my fam’s diets every day and see if it cuts down the amount of colds and flus we always tend to get during the colder months. Although I always make broth with leftover bones, I’ve only cooked them off for 6 hours at the longest. Any idea if I’m still getting the benefits of the broth (other than the flavor of my awesome soup)? Admittedly, I’m a bit impatient when it comes to Chicken Corn or Vegetable Beef Barley soups. Wendi, You’re still getting some benefits, but you’re leaving much of the goodness in the bones that you throw away! If you’re impatient to get your broth, try this: remove a first batch of broth for your yummy soup, and then put half a fresh onion and some new veg into the pot, and return the bones and leave them bubbling for another 24 to 48 hours. You’ll get lots more broth and lots more nutrients on your second batch! It sounds like a healthy and nourishing dish! Good for people who have not been so well. I thought that that was the same thing as bone marrow that gives the soup such great flavor. Who woulda’ thunk to simmer for 48 hours. I always knew that the gelaton is where the flavor and nutrients was but never heard of the 48 hr rule! I’m a pressure cooker kinda’ gal as it hold a lot of the nutrients. hmmm…makes you think. Great info…happy thanksgiving…Psalm 100! My wife just finished a few gallons of turkey broth, but the bird didn’t fit into the crock pot so she used her 18 qt Nesco on the slow cook setting. The broth went for about 24 hours. Unfortunately I’m just now reading that she could have made another batch of broth. We thought that one batch would thoroughly wring out the carcass, but apparently not. Good to know! Usually that second batch of broth, Matt, is not as flavorful as the first, but it is still loaded with nutrients and is great for additions to soups and sauces. Liz, that love was unrequited (snif) so at least I know the bone broth loves me, too. I think. Took my bone broth off the burner this morning and it is now cooling in the fridge, batch #2 from same bones fit in my largest crock pot. I am planning to can the first batch tomorrow….. now to find a recipe for turkey soup! Thanks again for sharing your bone broth recipe! I love to make broth! It feels to me like you’re making something out of (almost) nothing! 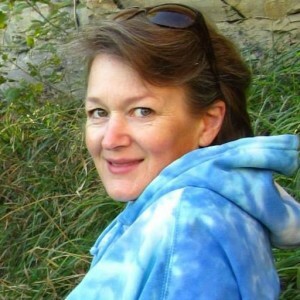 Well done, Lynda! I’ve gone to great pains to make bone broth since reading this post, years ago….I always made stock, but had never heard of continuing to cook the bones. It’s so wonderful to have on hand go cook with or to sip on…. Recently I was in a store that sold CHICKEN FEET!!!! I was deliriously happy! I bought them and add 3-4 to my pot and the broth, even if I’ve used the bones several times already ( you know they can be reused) I simply add a few feet and it congeals like brand new bones….amazing. But don’t tell my family. They.would.croak. Since I butcher my own chickens every summer, I have a ready supply of chicken feet to add to my broths. I forget that it’s not always easy for others to find them! We have communities around us that have large population of Mexican immigrants. Their grocery stores always have chicken feet, so if you run out of them, you might check a Mexican (or Asian!) grocery.